Some of you may see a broken-looking import page. This happens because the Site URL and Home URL are not set up properly. There are 3 steps to ensure that the Site URL and Home URL are correctly set up. 1. On your WordPress Dashboard, go to Settings > General and make sure that you put http://local.wordpress.test in the following fields. 3. Access wp_options in your database making sure that siteurl and home are both set to your current site URL (http://local.wordpress.test). 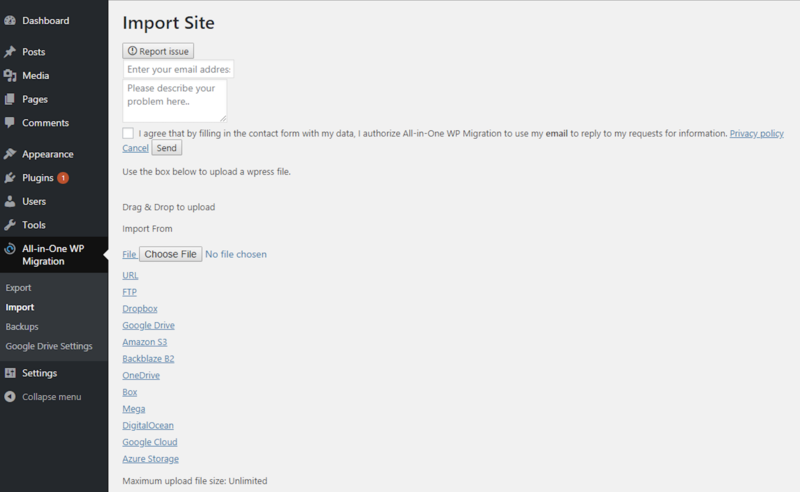 Once the 3 steps above are taken, the Import page CSS should work properly.